Have you ever said that to your child, or heard a teacher say it when a child is frustrated or angry and expressing it by striking out? At times this almost seems like a mantra that adults repeat in the hope that it will control children’s aggressive behavior. In the moment, and in the face of some of children’s behavior, this can feel like an ineffective response leaving parents equally frustrated. The thought that this admonishment will enable children to control their behavior may be an unrealistic expectation. The ability to substitute words for actions when expressing strong feelings is a major developmental step that takes time and a degree of maturity to accomplish. Learning how to talk is only one step in the process. Strong feelings invite a strong impulsive physical response, which young children are not yet able to control. Using words instead of actions means your brain has to tell you to inhibit the impulse, to interpret your feelings, and to redirect those feelings to language. Think road rage to realize there are adults who haven’t accomplished this task. A mother described an incident in a taxi ride with her daughter who was having a meltdown and lashed out physically, hitting her mother in the process. The mother felt that the child didn’t mean to hit her but was just striking out in all directions because she was upset. However, this has happened before when the child “loses it.” Mom felt unsure about how to handle this since although it doesn’t seem like intentional hitting it also feels like something that should somehow be stopped. It turned out that the mother was picking her daughter up from a play date with a friend and the child didn’t want to leave. Needing to get to a subsequent appointment, mom had to abruptly take her and get into a taxi while the child was protesting leaving. It seemed clear that the little girl was expressing through her behavior her disappointment at having to leave her friend, her anger at her mother for forcibly taking her away from a pleasurable situation, and her frustration at her powerlessness to do anything about the situation. Both the child’s behavior and the mother’s reaction are familiar. Both of them feel helpless in the situation. The child, frustrated and angry, feels unable to control events. The mother, is upset by her child’s behavior, which she feels unable to control. Being hit by your child also arouses anger in a mother, perhaps with an impulse to strike back. 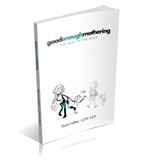 A mother unlike the child, however, has the ability to control her behavior leaving her unsure how to respond to behavior that she feels should not be accepted. Also familiar about this situation is that the behavior takes priority over the feelings. The feeling that the behavior should have an immediate response while feeling unable to make an appropriate response, leads to doing nothing and feeling helpless. But it is the child’s feelings that are leading to the behavior and it is addressing those feelings that can help the child deal with her upset. Telling your child in a sympathetic way that you understand that she is angry and disappointed at having to leave her friend, and that you are sorry about that, doesn’t give her what she wanted but it does help her feel understood and supported. If you understand her feelings, then maybe there is hope that next time she will have a voice in the situation. Think about your own reaction when angry about something and how helpful it is to be able to tell someone who is understanding and supportive about it. Once the heat of the emotions has calmed, it is possible to talk about the behavior, that hitting is not permissible and will not be accepted. In doing this, one is also helping the child make the connection between her feelings and her behavior, an essential step in the direction of self-control. When you recognize your feelings, you can use your words instead of your hands to express them. That applies to parents as well as children.